Megan Hanefeldt, with the Knox County Development Agency, talks with community members in Crofton. An essential feature of America’s identity is the notion that if you work hard, a better economic future awaits. That is often an aspiration rather than a reality for recent generations. The widely held belief is increasingly evading the nation’s young people, especially those in rural communities. Researchers and journalists have documented the challenges confronting the nation’s rural communities — dwindling populations, few employment opportunities, the opioid crisis and a lack of public investment. However, there are many rural communities that are surmounting these obstacles and helping young people build a brighter future. 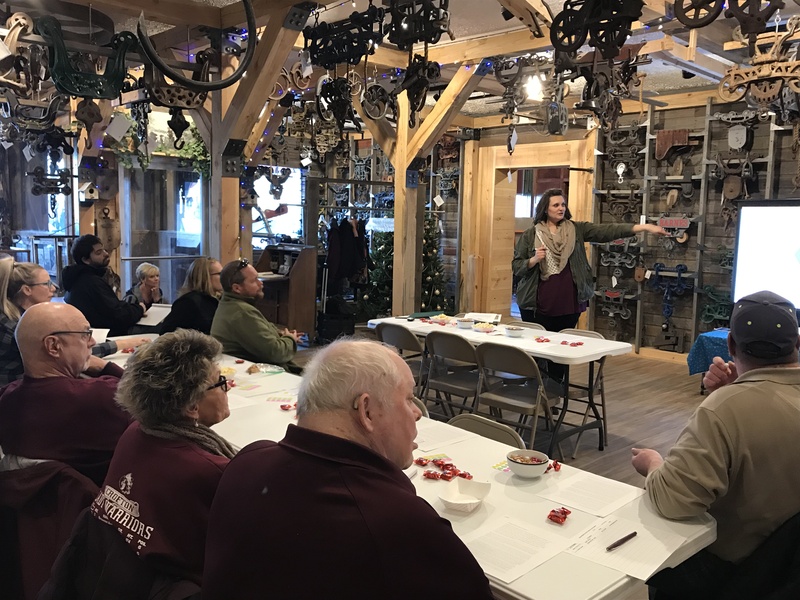 Nebraska Extension and the National 4-H Council collaborated with The Bridgespan Group to more deeply understand the places in rural America where upward mobility is thriving and learn what makes those communities successful. A high expectation that youth will “opt in” and work hard to acquire the skills to build a better future; a low tolerance for opting out. Strong, informal support systems, with neighbors helping neighbors. An early focus on career pathways. A wealth of opportunities for youth to build life skills, regardless of the community’s size. Many potential challenges to accessing opportunities, but creative solutions for overcoming them. A sense of shared fate and a deep commitment to sustaining the community. To build on what was learned and formulate the next steps, a series of conversations is underway in northeast Nebraska. The next community conversation is 3 p.m. Feb. 15 at the Cedar County Extension office in Hartington. It will be held in conjunction with the University of Nebraska–Lincoln’s N150 Charter Day celebration. All are welcome to attend the meeting and celebration. For more information, contact the Cedar County Extension office at 402-254-6821.